Parenting With Courage and Uncommon Sense, by Linda E. Jessup and Emory Luce Baldwin, contains the wisdom of over 30 years of parenting classes run by the Parent Encouragement Program, founded by Linda in 1982. This book is truly a gift for parents and all adults who work with children. Sections of it read like a novel as you follow the Naylor family’s struggle to overcome challenges and learn new ways of guiding children of all ages through encouragement, rather than authoritarian or permissive parenting styles. You will identify with them (and learn with them) as they journey from discouragement to hope and change. Autographed copies of Parenting With Courage can be purchased here. 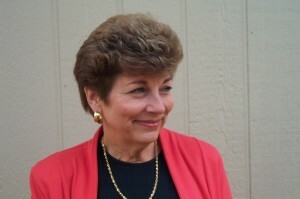 Linda E. Jessup founded the Parent Education Program (PEP) in 1982 and directed it for 18 years. Once a “desperate parent” herself, Linda developed the PEP curriculum from the practical and inspiring approach to parenting of Alfred Adler and Rudolph Dreikurs and served on the Board of the North American Society of Adlerian Psychology for two terms. She has published numerous columns and produced a radio show on parenting, and speaks frequently at parenting workshops. She and David have raised four children and added several foster teenagers into the family mix.